Not a day goes by without one reading about the hype and excitement around artificial intelligence, machine learning, deep learning, and chatbots. Organizations large and small, across multiple industries and geographies, have jumped in the game to explore what AI can do for them. However, there is a lot of confusion about what they really mean and what is actually possible today. From awesome AI to awful AI, the spectrum of news is wide and varied. Also, these terms are used arbitrarily and sometimes interchangeably, which further perpetuates confusion. In spite of the hype, there is much here to excite us. Based on hundreds of customer conversations over the last three years, we realized that when the conversation changed from artificial intelligence to augmented intelligence, the possibilities for business uses expanded exponentially with only a temporary disruptive effect on the workforce rather than a permanent, disastrous effect. 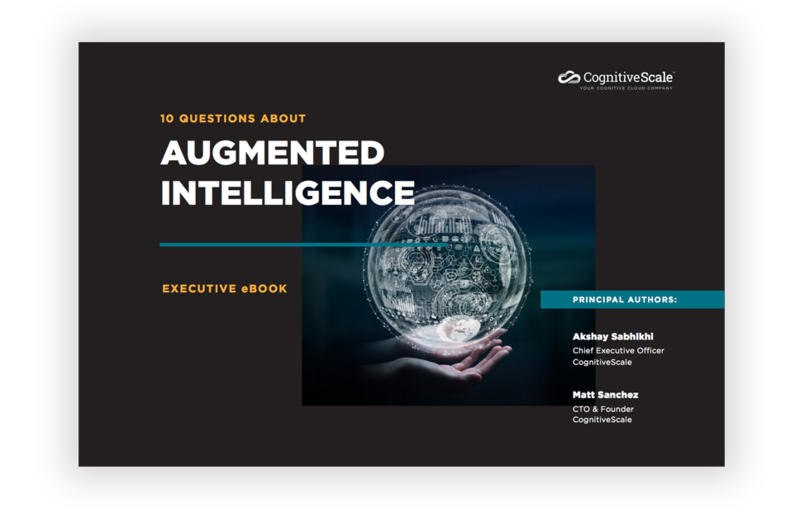 In the attached Augmented Intelligence Executive Ebook we provide answers to the ten most frequently asked customer questions about augmented intelligence to give business and technology executives a good grounding in this exciting new world. Most importantly, you’ll learn how augmented intelligence systems need to be built upon a TRUST framework. We discuss best practices for secure, enterprise-grade implementation and the importance of an industry-specific approach. It is not about man vs. machine, but about people and machines working together to address some of the most complex enterprise problems. Done right and responsibly, it can drive change within the organization to deliver visible business value fast. We look forward to engaging with you on this exciting journey with augmented intelligence systems. Why are Augmented Intelligence systems so effective? How does Augmented Intelligence differ from existing AI systems? When should I use Augmented Intelligence systems? Which Businesses and Processes are best suited for Augmented Intelligence? Who has used Augmented Intelligence so far and what success have they had? How do I drive success with Augmented Intelligence systems? What insights and competitive advantage can I gain from Augmented Intelligence? What are the best practices for secure, enterprise-grade Augmented Intelligence? CognitiveScale’s Artificial Intelligence products are founded on the principles of TRUST which offer advantages that no other cognitive computing company offers.